A charming little bulldog in wall decoration ! This decor is entirely made of medium wood by our artists. The size of this wooden frame is 41.5 x 33.6 cm. 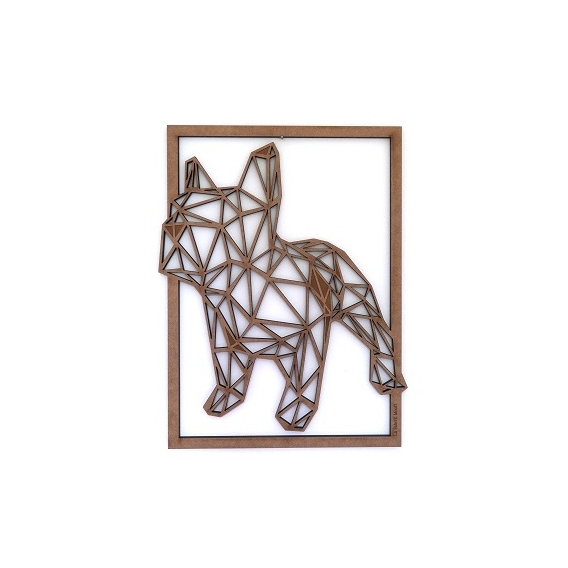 Worldwide shipping for this bulldog decoration. Some canines are among the most popular animals of men. They inspire respect, sometimes even fear. 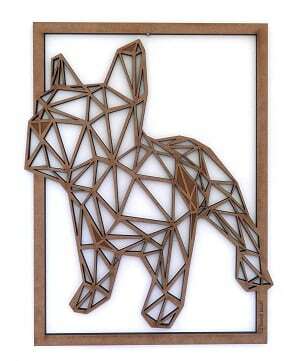 Dogs have become very fashionable and trendy subjects for indoor decorations. 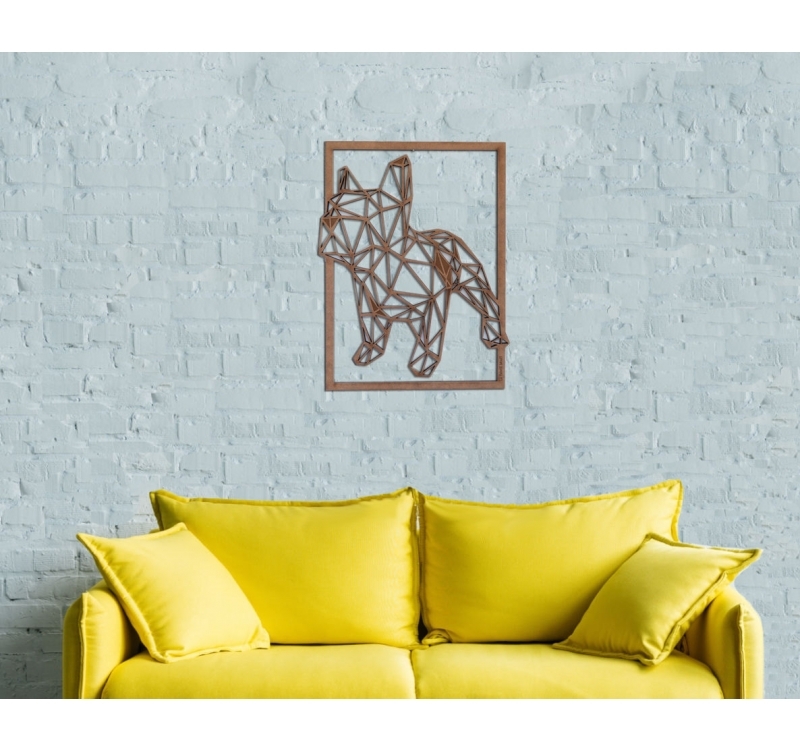 For those who can not have pets at home, having a wall decor that displays the drawing of the beast can be a very interesting alternative. An artistic work can give a more inspiring tone to your piece and we find this unique touch with this bulldog decoration. 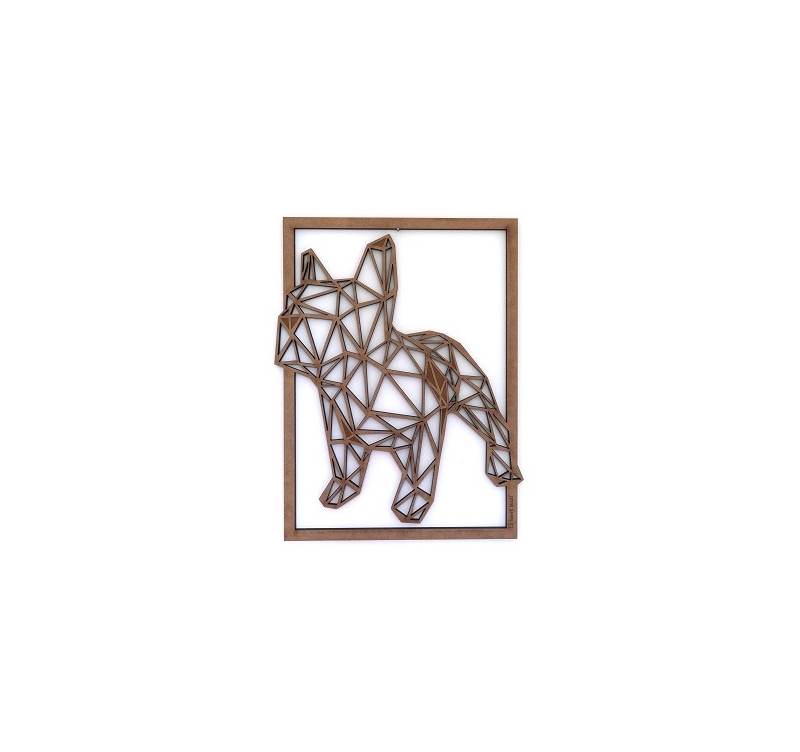 This frame is made of medium wood by our artists and is available in several colors. It is possible that traces of heating are present on the back of the decoration of the cut.